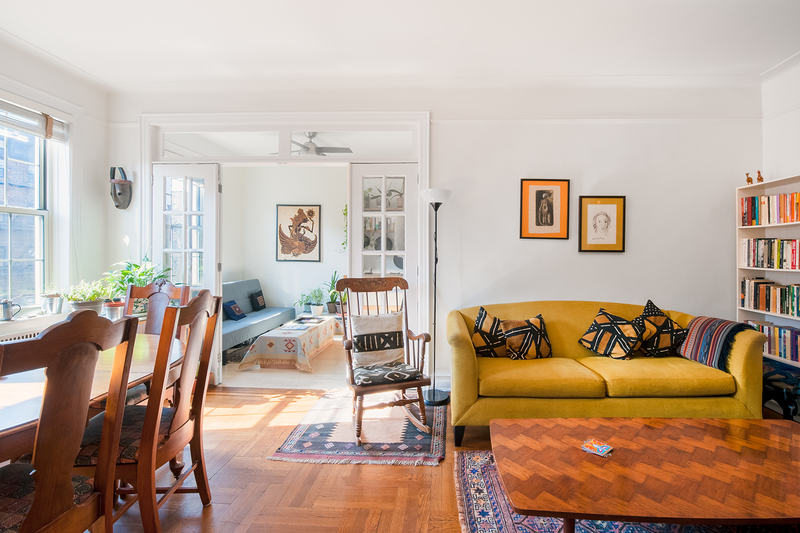 An incredible opportunity – this large, light-filled two-bedroom, one-bathroom apartment is located at The Elbertson Condominum, one of the rare condo buildings in the heart of the Jackson Heights Historic District. This gracious home has a sizable living room with southern exposures providing abundant sunlight all day. The spacious master bedroom features large, well-designed, custom closets as well as lush garden views that give this room a feeling of serenity and peace. A more than amply sized second bedroom provides good closet space and plenty of space for a queen size bed a desk and a chest of drawers. The updated kitchen is perfectly laid out and outfitted with granite countertops, glass backsplash and ceiling height cabinetry providing plenty of storage space. An updated bathroom featuring bright white subway tiles completes the picture. 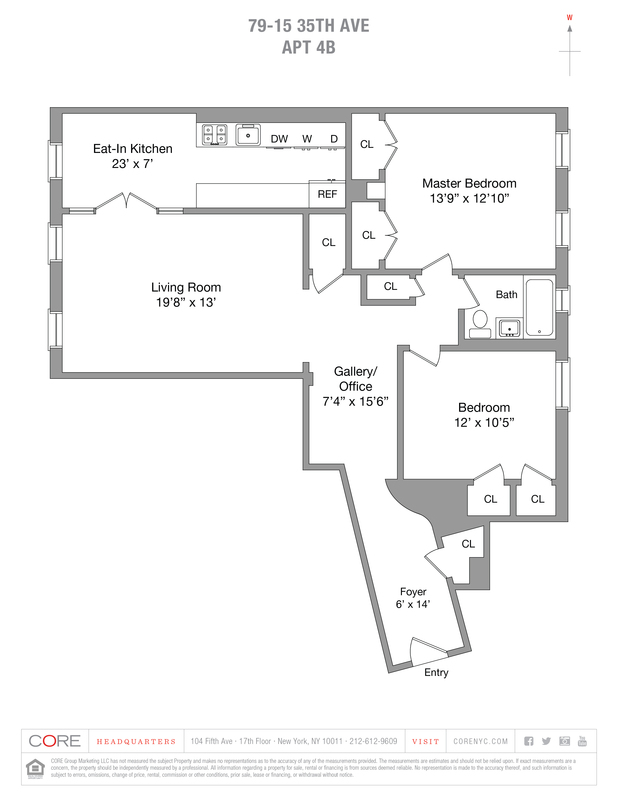 The Elbertson features attractively low common charges and the freedom to make this your home or to sublet. This convenient location is a short distance to the express subway lines at 74th Street and only three blocks from Travers Park’s year-round farmer's market.